This lovely little village offers small-town charm with a sophisticated accent. 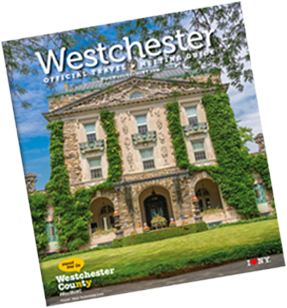 Originally founded as a summer shoreline retreat for the wealthy, Larchmont is now a year-round suburb with vintage homes (circa 1920s), grand estates on the Long Island Sound and closer-to-town family-friendly neighborhoods. Larchmont is a particularly favored community for those making that first leap to the ‘burbs as it has much to offer: an easy commute to New York City; lovely parks; and a delightful downtown shopping district brimming with interesting small boutiques, gourmet stores, a wide variety of eateries, antiques shops, decorating studios and even its own children’s bookshop. Flint Park: The largest park in the village, Flint Park offers sports league play, tennis, day camp and nature trails. The park also has a wonderful play area for children, and is home to Larchmont’s American Legion building. Each Thursday evening in July, the town hosts a summer concert series in Flint Park. 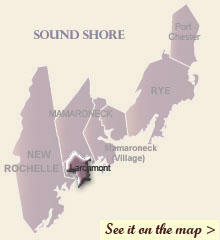 Also, in October, the “Tour de Larchmont” bike ride begins and ends there.